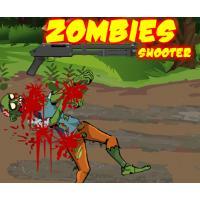 In Zombie Shooter you are the sheriff in a small town. One afternoon, when you sat down to drink a cup of coffee, you see on TV something horrible. The zombies are trying to devour the people living in your city. Your job is to save people and destroy the zombies. In such cases, you have a good shotgun.